Before I was elected lieutenant governor in 2014, I served on the Senate Education Committee for eight years, including as chair during the 2013 legislative session. Making our public schools better has long been a top priority for me. Working first as a senator and then as lieutenant governor, we have reduced standardized testing, reformed graduation requirements and created new career tech partnerships between public schools and businesses to help ensure we provide training that will lead to jobs in the 21st century economy. Still, research consistently shows that nothing has more impact on the success of a student than a teacher, and they must be our top priority when we determine how to spend our education dollars. This is aside from a parent. Teacher turnover is at an all-time high, and the percentage of teachers with more than three years experience has dropped to under 80 percent. Currently, only about a third of the $60 billion dollars we spend each year on our schools goes to teacher pay. I first proposed a $10,000 raise for all teachers during the special session in 2017. The bill did not pass. In my inauguration speech two weeks ago, I announced that Sen. Jane Nelson, R-Flower Mound, had filed Senate Bill 3, to give all teachers a $5,000 raise. This is a big down payment on my goal of a $10,000 across-the-board raise. It will cost $3.7 billion, but it is critical and must be done now so teachers feel the impact immediately. Earlier this week, Gov. Greg Abbott made increasing teacher pay an emergency item in his State of the State address. At a time when we need them most, we are losing good teachers because pay is low. Often the only way for a teacher to get a raise is to move to an administrative position. We are also failing to attract many of the best and the brightest to teaching because the salaries are not competitive with other professions. Unfortunately, some are opposing an across-the-board raise for every teacher, insisting we provide the money to the districts to distribute to teachers based upon effectiveness. They point to the excellent Accelerating Campus Excellence program in the Dallas Independent School District, which has produced dramatic results in a short amount of time by providing pay incentives for good teachers to teach in failing schools. I also support this innovative approach, led by Superintendent Michael Hinojosa, at DISD. This is not an either-or situation. It is my goal to encourage school districts all over the state to emulate the ACE performance pay program in their districts — designed, like ACE, by local teachers and school leaders. I intend to include funding for incentive programs in the Senate budget as well, but we still need to significantly increase the base pay for all Texas teachers now. We must do the same for our teachers. They are the key to achieving our goal of improved outcomes for the children in all our public schools. A well-deserved pay raise for all teachers is a first step toward making that happen and I will fight for both across-the-board pay raises and incentive programs designed by local districts this session. 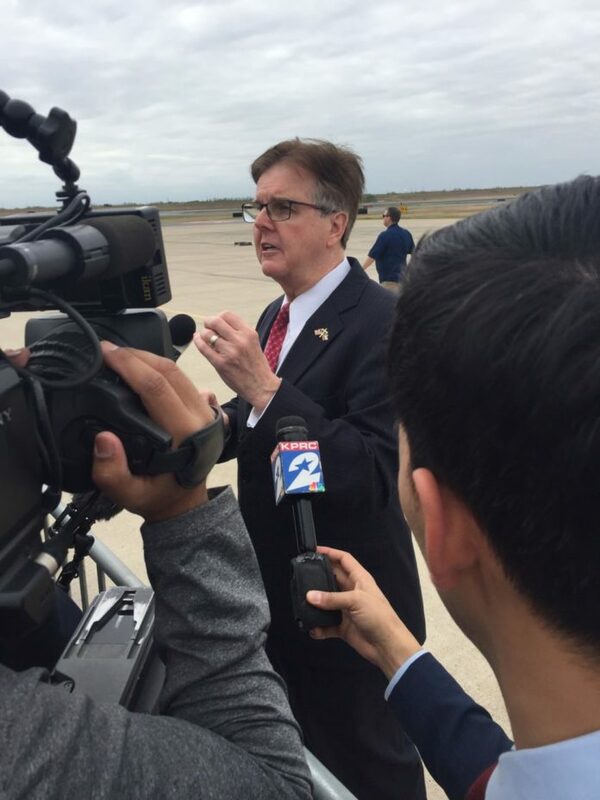 Dan Patrick is lieutenant governor of Texas.